Do you feel sad most of the day nearly every day? Is it hard to feel any enthusiasm or enjoyment about anything, or difficult to make decisions? Do you feel hopeless? Do you have thoughts of suicide? Have family or friends noticed a change in your mood? 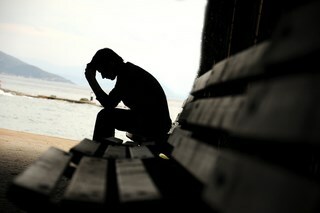 Depression affects millions of Americans and is one of the most common reasons people seek psychotherapy. If you believe that you are suffering from depression, you are not alone. While feeling sad now and then for a day or two is a natural part of being human, depression is a different and serious condition. Depression lasts for weeks or months on end and interferes with the ability to perform work/school activities and maintain family and social relationships. When we are depressed it is harder to connect with positive feelings and to find hope about getting better. It is also very common to isolate and withdraw from friends, family, and social activities, and to feel lethargic and lack motivation for even the simplest things. The idea of getting out of bed in the morning can feel overwhelming. It can be difficult to motivate to seek help when you are depressed. The fact that you are exploring therapy is an act of strength and courage. The earlier depression is treated, the better the outcome, so getting the help you need as soon as possible is very important. Having a trusted friend or family member assist you with scheduling a consultation or driving you to your session can make getting treatment easier if you are finding it hard to take the first step on your own. Depression can vary greatly in severity and type. Sometimes, depression can be a component of another mental health condition, such as bipolar disorder. Determining the specific nature of your depression is very important so that we can agree upon an appropriate, tailored treatment plan for your situation. Knowing how difficult it can be to seek treatment, I work hard to make the therapy session a safe, compassionate, and nonjudgmental setting for you to share what’s going on. Addressing dysfunctional negative thinking patterns, since these can strongly affect your mood, behavior, and physical state, deepening your depression or putting you at risk of a recurrence. You will learn to notice these patterns as they happen, and replace them with healthier thinking. Developing specific goals for behaviors that you will practice during the week. Part of overcoming depression is taking small, achievable, incremental steps to help you reconnect with your sense of enjoyment in life and with your friends, family, and community. This helps to overcome the sense of inertia that is so debilitating in depression. Exploring the underlying causes of your depression, for example your environment and experience growing up, your current life circumstances, and/or specific events that may be related to or have triggered your depression. Consideration of medication as an adjunct to psychotherapy. I can assist with a referral to a psychiatrist, if needed. If you would like to explore treatment for depression, please schedule your free 15 minute phone consultation below. It can be helpful to have a trusted person assist you with this step if this feels hard to accomplish.